On the Cover: Class K2, No. 125 is one of ten orginial USRA Heavy Mountain types to be rostered by the N&W. 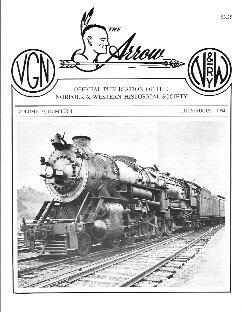 It is at Roanoke, VA in June, 1929 following shopping and addition of a Worthington BL-type Feedwater Heater. Note there is no splash up on the cylinder head cover probably indicating it has just come out of the Shops and been assigned on a local passenger train for break-in run.